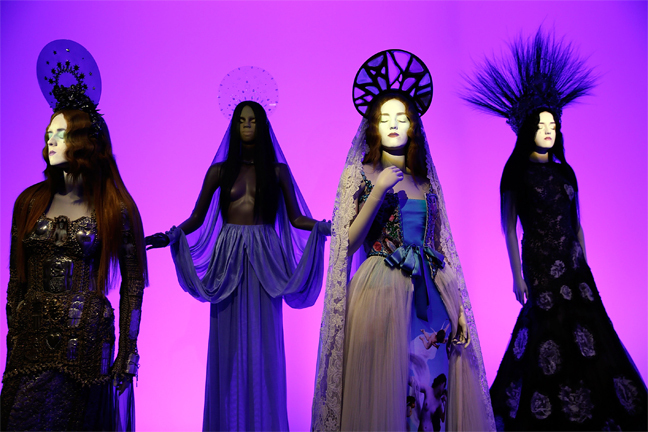 The Fashion World of Jean Paul Gaultier: From the Sidewalk to the Catwalk is the first major exhibition devoted to the celebrated French couturier. Dubbed fashion’s enfant terrible by the press from the time of his first catwalk shows in the 1970s, Jean Paul Gaultier is arguably one of the most important fashion designers of recent decades. 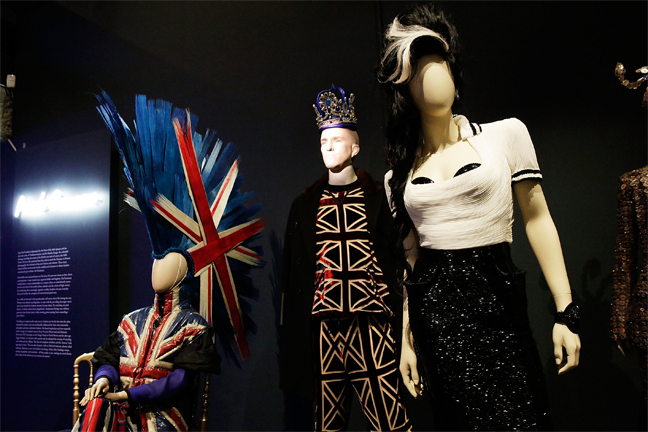 This theatrical installation of around 165 cutting-edge couture and ready-to-wear garments explores Gaultier’s fashion world, from his witty and boundary-pushing designs to his ceaseless interest in society, identity and a beauty borne of difference. The exhibition includes costumes for film and performance including iconic pieces such as the conical bra and corsets Madonna wore during her 1990 Blond Ambition World Tour, stage costumes designed for Kylie Minogue as well as pieces created for the films of Pedro Almodóvar among others. The exhibition opens at Barbican Art Gallery on 9 April 2014. Celebrating the designer’s daring inventiveness, The Fashion World of Jean Paul Gaultier: From the Sidewalk to the Catwalk traces the influences that have marked Gaultier’s creative development from the streets of Paris to the DIY aesthetic of punk or fantasies of science fiction. It includes eight thematic sections: The Odyssey of Jean Paul Gaultier, Punk Cancan, Muses, The Boudoir, Metropolis, Eurotrash, Skin Deep and Urban Jungle. The exhibition also features a wealth of photography by collaborators such as Miles Aldridge, David LaChapelle, Peter Lindbergh, Pierre et Gilles, Herb Ritts, Stéphane Sednaoui, Cindy Sherman and Andy Warhol as well as footage of catwalk presentations, concerts, music videos, films and dance performances. Other highlights include the Spitting Image puppet of Jean Paul Gaultier, on show for the first time in a UK gallery and dramatic metre-high Mohawk head pieces especially created by renowned hair stylist Odile Gilbert .